Kevin Macdonald (‘The Last King of Scotland‘) has been tapped to direct and executive produce the first two of nine episodes from writer Bridget Carpenter (‘Parenthood‘). So far we know James Franco has been cast as the lead, high school English teacher Jake Epping. 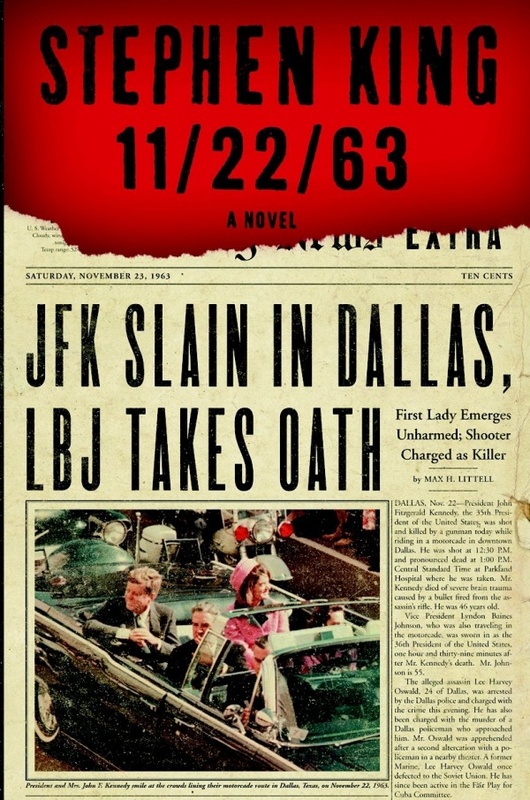 Epping discovers he can travel back in time, he uses his time, not to make himself rich, but to try to prevent the assassination of President John F. Kennedy. Joining Franco in front of the camera are veteran actors, Chris Cooper (‘August: Osage County‘) and Cherry Jones (‘Signs‘, ‘24‘). Cooper will play the owner of Al’s Diner, a mentor of sorts for Epping and the man that changes the teacher’s life forever with his secret of time-travel. Jones will take on the mantle of Lee Harvey Oswald’s mother. Daniel Webber (‘Sleeping Beauty‘) is to play Lee Harvey Oswald, Lucy Fry (‘Mako Mermaids‘) will be Oswald’s Russian wife. Leon Rippy (‘The Patriot‘) will play a janitor in Epping’s 2015 school, Harry Dunning. If you’ve not read the book, do it. Seriously, read it first. King is called a master story-teller for a reason! Dunning lives in Derry, Maine and let’s just say King implements one of his classic elements by crossing his characters in other stories. Remember anyone else from Derry? Maybe a malevolent clown named Pennywise? I got goosebumps reading that section! Rounding out the cast, thus far, is Sarah Gadon and George MacKay. I’m so excited for this series and can’t wait to see how it transfers to the small screen! This entry was posted on Tuesday, April 7th, 2015 at 8:54 pm	and is filed under Books, News, Television. You can follow any responses to this entry through the RSS 2.0 feed. You can skip to the end and leave a response. Pinging is currently not allowed. « Princess Grace Biopic Featuring Nicole Kidman Premieres On Lifetime!! !